From US-98 turn north on Benning Drive and go to the end. Turn left onto Calhoun Ave. Campground is immediately on the right. If coming from the North, DO NOT follow your GPS. There's a new approach to the bridge that isn't in the GPS yet. The toll bridge is $3 for one vehicle (2 axles) and $3 more for each additional axle. 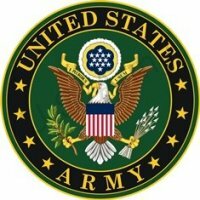 Active Duty, Retirees, Reserves, National Guard, 100% DAV, DOD Civilians, Guests. Accepted 1 year in advance. Must use Destin general delivery. RV area is pet friendly. There are limited pet cabins, please ensure while making reservations you specify if a pet cabin is required. 30 day stay limit, then out for 30 days in the summer (Mar 1 - Sep 31). 120 day stay limit in the winter (Oct 1 - Feb 28). 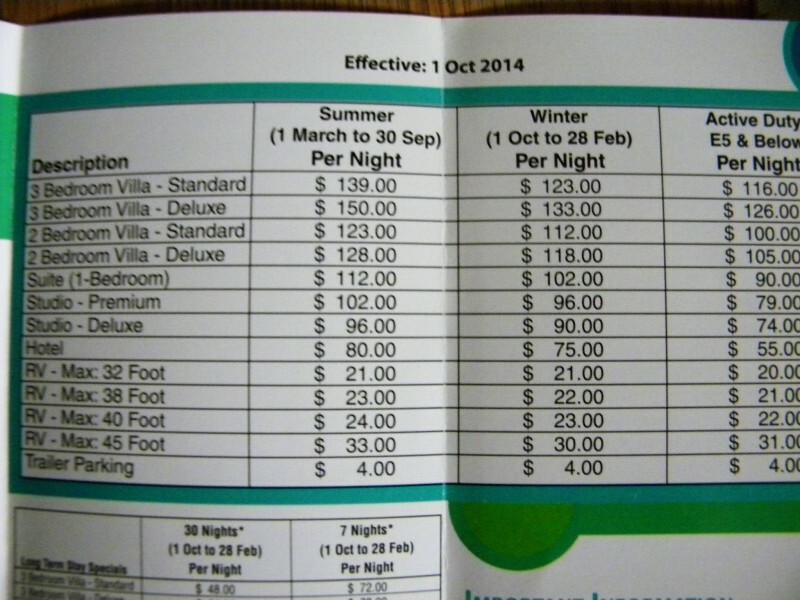 Lodging prices are dependent on rank and the season. 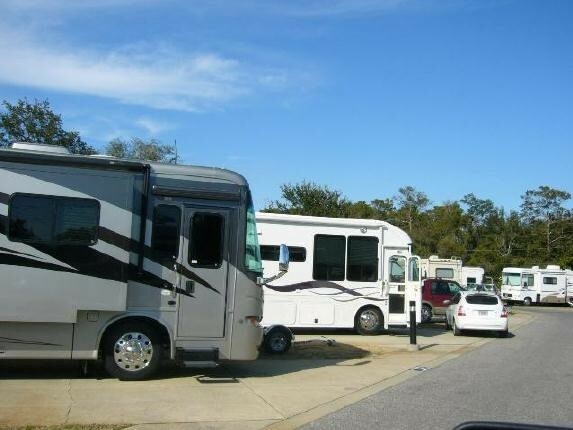 RV Site prices vary on rank and size of RV (and site). Sites are very close together and road is narrow. Big rigs will fit, but MUST use extreme caution. Keep firearms in your personal vehicle. 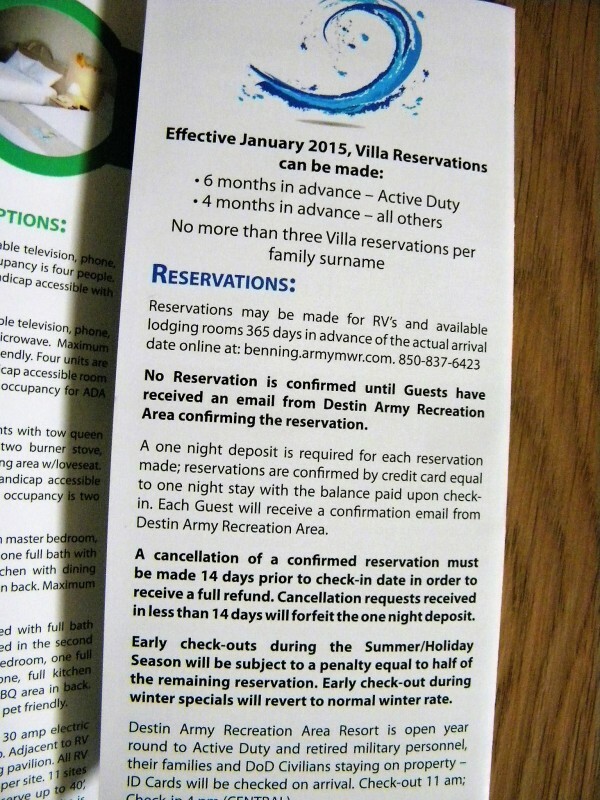 Lodging and RV Site price sheet for Destin Army Infantry Center Recreation Area. 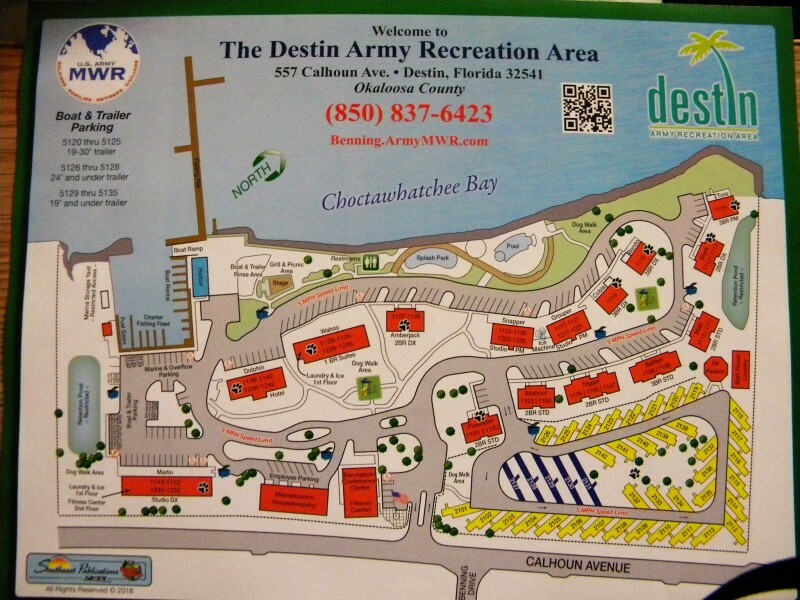 Marina price sheet for Destin Army Infantry Center Recreation Area. This is the second year we have spent spring break here at the RV park. The people staying there are so friendly. We just love the location. The one thing that was lacking this year was the cleanliness. The bathrooms were not cleaned until our 5th day there. That was after I complained. There was a mold growing on the showers. The toilet paper was out and there were no paper towels. The staff was not friendly and seemed shocked when I told them. Even after someone cleaned it, the showers were still gross. The staff at times were kinda of rude as well. We will still go back because we like the price and enjoy the location. We called about a week in advance and was able to get a four-day reservation in one of the new pull-through sites. We paid $30 per night for full hook ups, including 50 amp electric, sewer, water. We also had cable TV and very, very good WiFi service. We have a 36' Class A and dinghy toad and still had plenty of room in our pull-through site. The spaces are very tight; but, in the four days we were there, we felt like part of the family. Many campers had over-wintered; long-term stays are permitted in the campground and other housing areas. The campground has one large dumpster to deposit trash and one "dog station". There were plenty more of these stations around the entire Recreation Area but only one in the campground. For the limited number of camping spaces, one would seem to be enough but was constantly out of bags. 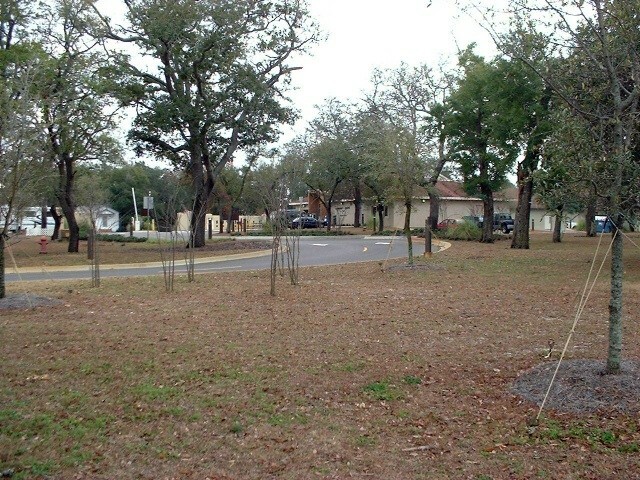 The campground has pull-through and back-in sites. Check in was a breeze. Very friendly staff and very professional. 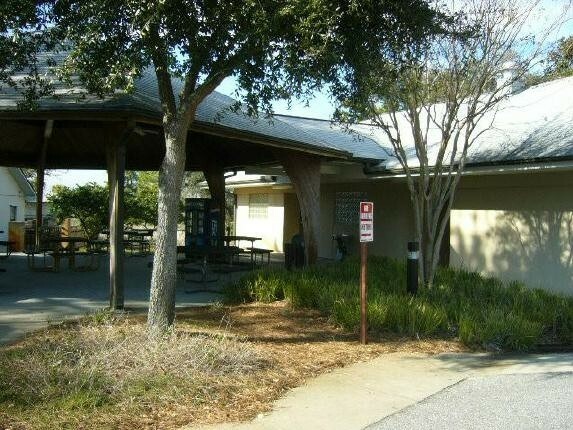 This facility has a small conference/gathering area with restrooms and vending. 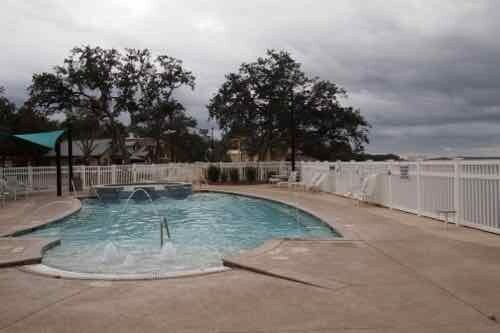 It also has hotel rooms, villas, marina rentals, fishing options, a heated pool, and kid's splash park. 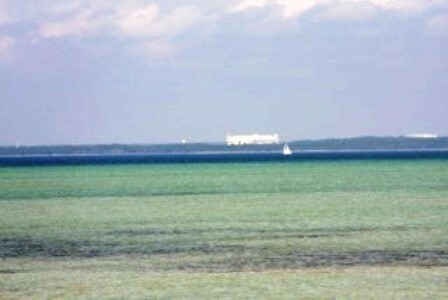 Eglin AFB is close by. Several days we saw a variety of military exercises in the sky and could hear a few as well. I had a scheduled conference call one day and was able to conduct it in the conference/gathering room. The WiFi worked great and I was able to conference without potential noise pollution from Eglin. The bay is beautiful but there is no beach access at the Recreation Area. 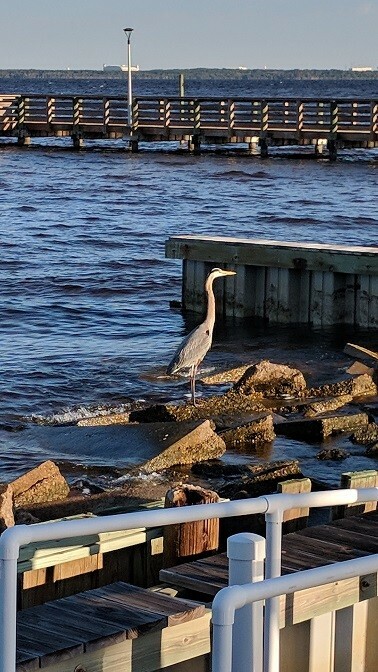 A Great Blue Heron named "Otis", according to the long-term residents, makes frequent appearances! Also, we saw plenty of brown pelicans. Very beautiful. 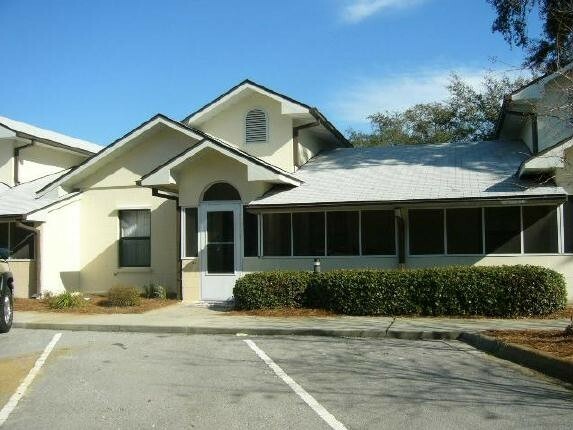 Location: 4/5 because of its proximity to attractions in Destin and being near Eglin AFB for Commissary or other needs. Cleanliness/Hospitality: 5/5 no issues. The entire Recreation Area was very clean and very well maintained. Amenities/Facilities: 4/5 because although this is a great Recreation Area, it is small and is NOT contained within a military base. 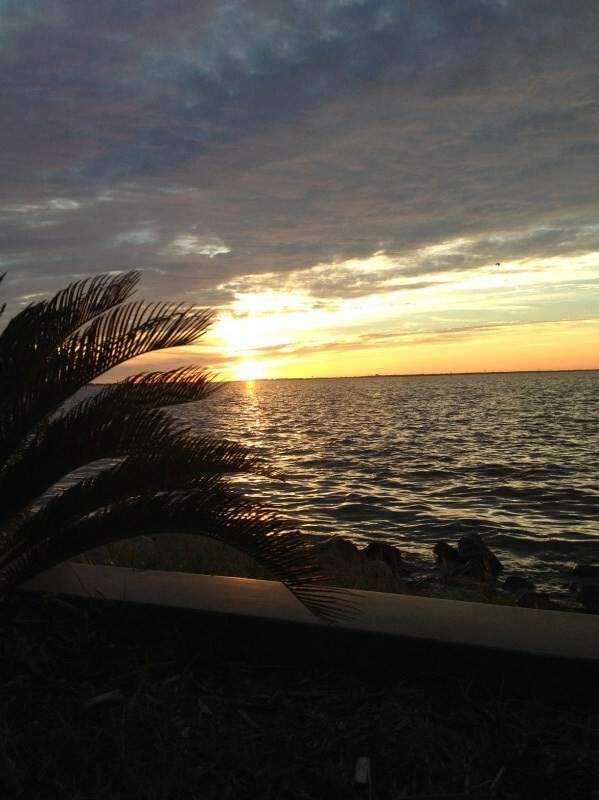 When you leave, you are immediately immersed in Destin homes and communities. It's a matter of personal preference. 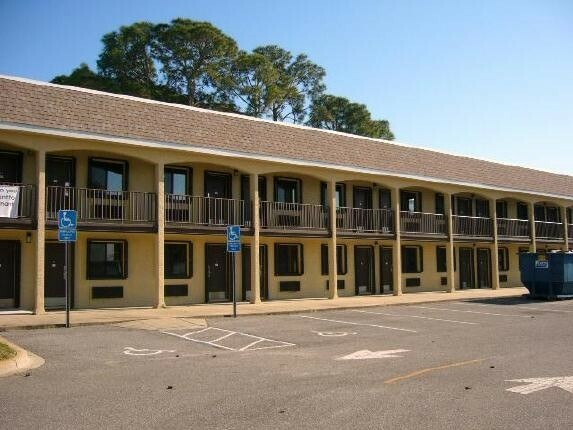 Value: 3/5 because $30/night is the most we have paid thus far at a military campground. Overall Experience: 4/5 because every campground could use some improvements. The rental prices are a bit high and tours/excursions rates are very high as well. We think both of these could be lowered to better support military families. THIS FACILITY IS BEAUTIFUL AND CHILD FRIENDLY. THE WOMEN IN THE OFFICE A DIFFERENT STORY. SOME OF THE MOST RUDE PEOPLE I HAVE EVER ENCOUNTERED AT A FACILITY. IT WAS NOTHING LIKE WE HAVE EVER EXPERIENCED. OBVIOUS FIRST TIME VISITORS ARE NOT WELCOME. Great campground! The grounds and facilities are well maintained. 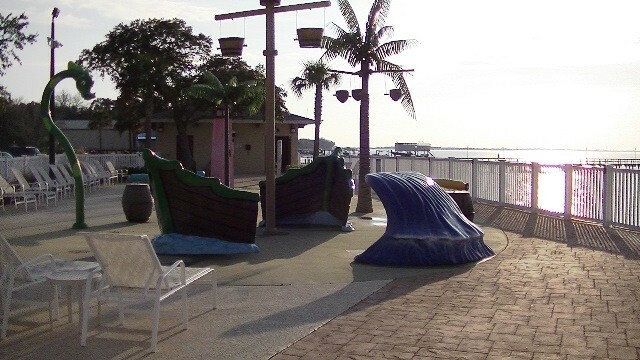 There is so much for children to do including the splash pad, pool, and two playgrounds. There is a fishing pier and affordable boat rentals as well. 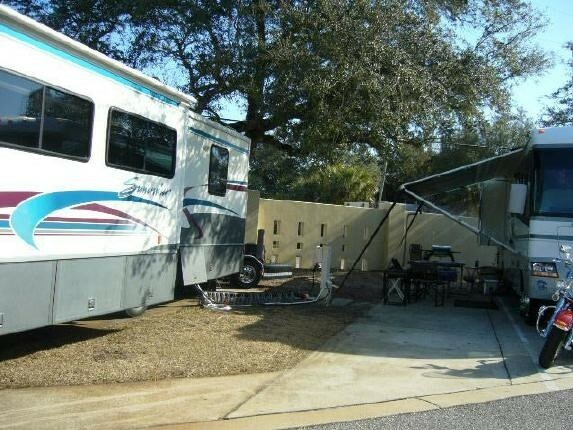 RV sites are pretty close but we were able to get our 36 ft RV in with no problem. One thing I noticed was how kind and respectful everyone is here. There are many retirees who are just the sweetest and a lot of children, all of whom have been respectful and kind towards adults, the facilities and each other. You are a short 3 minute drive from the main drag. 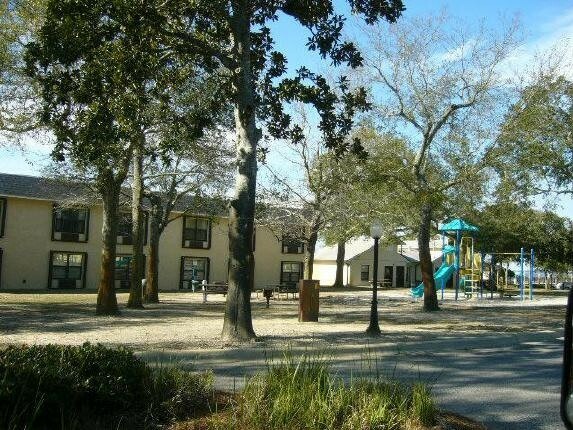 Henderson State Park is about 5 minutes away once you hit the main drag and it is beautiful, much prettier beach than the packed beach and brown water we saw over by the Boardwalk/Gulfarium area. This is definitely an amazing value, we plan to come back for sure! just returned from a week here and had a great visit to the park and the area!! we did make reservations and also called ahead when we were to arrive one day earlier and had no problem getting in, not that i should have considering there were a dozen open spots... as for the spots they are right next to each other all in a row around a circle, i had no problems backing in, but if you have a 40footer or bigger and they assign you a space that has someone in front of you, your backing skills need to be up to par?? 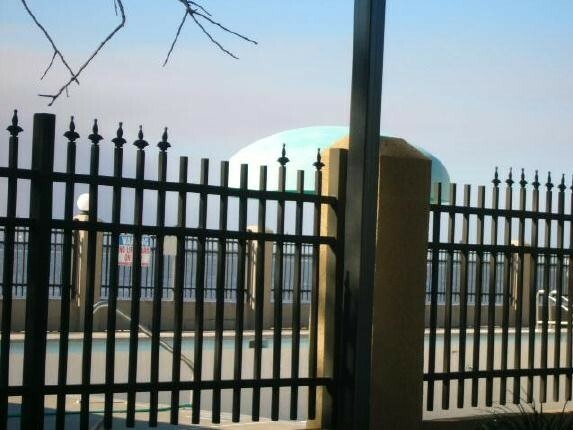 there is plenty to see and do in town and and everything you need, there is a pool and kids play areas and marina and laundry on the grounds so no worries there, my only complaint is that the grass around the rv sites had a lot of stickers in it and the dogs have issues with that :( the other grass areas away from there were ok?? we would stay here again but there are other parks in the area and we might try one of them next time just to go somewhere new? if anyone has any questions about the area just send me a msg and i would be happy to answer, happy camping!! Great for RV it is a little tight but great we will be back. 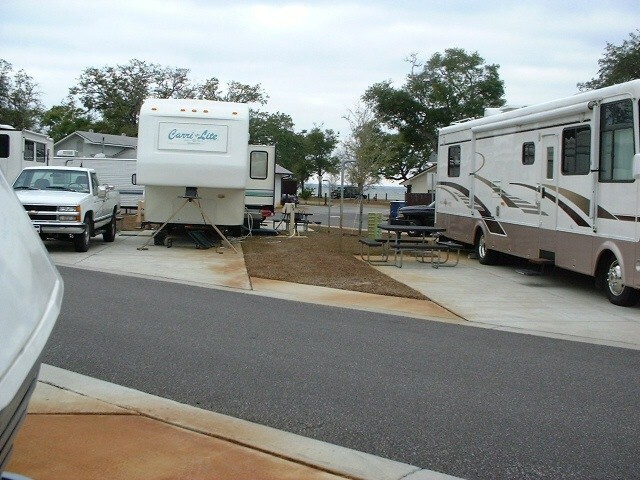 Very happy with our experience at the Destin Army Infantry RV Park. 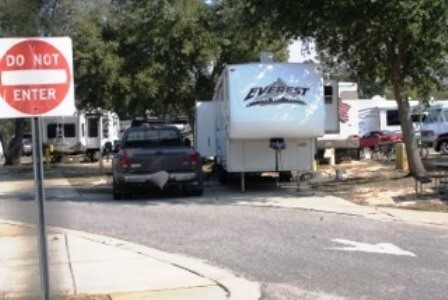 it's a small park, and parking bigger RVs can be tricky but quite doable. The park is maintained beautifully, it's clean and quiet. 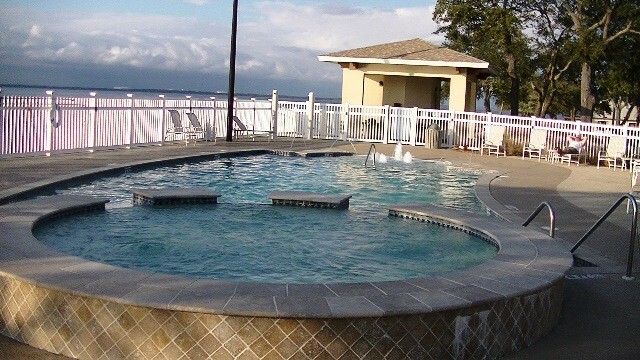 There is a great children's play area, and a nice pool. 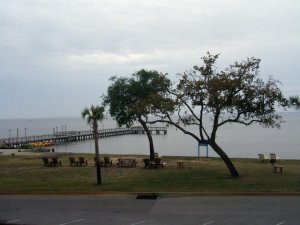 the park is situated on the bay but it's not a swim area. 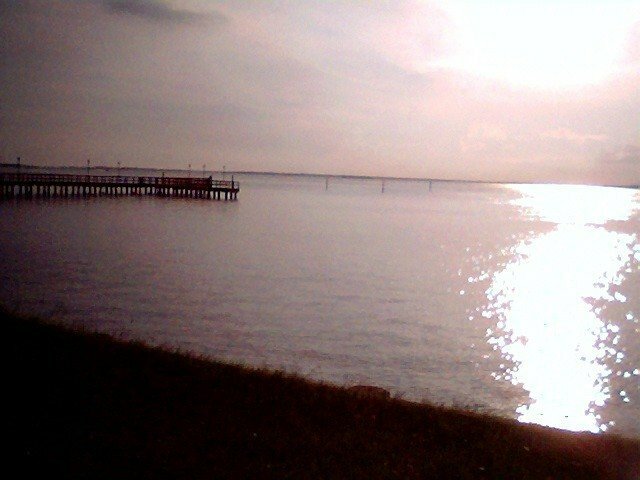 There is a nice fishing pier and charter fishing boat trips are available. Cable and WiFi both great. In fact, the WiFi is much better than most I've encountered in RV parks elsewhere. 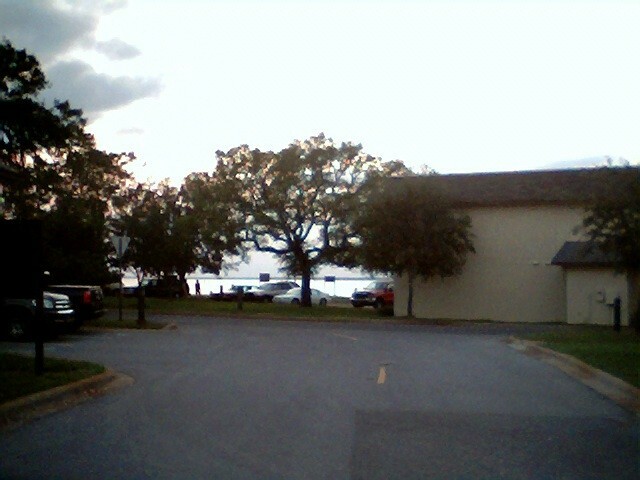 We really enjoyed this RV park and thank the Army for doing such a great job staffing and maintaining it. We'll be back! We didn’t use the toll bridge indicated in the directions, but came down Rt 133 from I-10, a 4-lane road with non-toll bridge, which I would recommend using instead unless you are coming from the west. Access to the CG is very straightforward. There is a lot to do and see within a few miles either direction from the CG. The CG was very clean as were the restrooms & laundry. Ice was $1.50 a bag in the small shop, but there are a Walmart & Publix within a mile or so of the CG if you don’t want to go the 15 miles to Eglin. Wi-Fi was great and much easier to use than the Navy Go Wi-Fi. Cable was good. We didn’t experience any concern about ‘tightness’ in the sites themselves, but more from the campers. They park their trucks partway on the road, which is only single-lane pavement, making it narrow and limiting room to swing around into sites. The sites are concrete pads, but ours had settled somewhat into a lean and we had to block up to get level. Pool and marina looked nice, but were all closed for the season. We stayed in a motorhome. We stayed in one of the studio apts. The furniture was totally uncomfortable and stained. The TV was mounted too high on the wall. Why have a stove with an oven when there isn't enough counter space. The refrigerator was dirty, rust on the door and a thick piece of ice in the freezer. Also the oven itself had dried oven cleaner all over the interior. We did get this cleaned by a very polite worker. There needs to be a table of some kind in the bathroom for supplies and more towel racks. The ice machine in the laundry room was inop most of the time and we reported it. When we took walks on the grassy areas, we stepped in piles of dog waste. I actually saw people out there letting their dog go on the ground and walk away. I must say the staff was very professional and the cleaners were very polite and helpful. Our first visit to this Famcamp, and nothing really new to add to all the good things reported in previous reviews....just an affirmation. 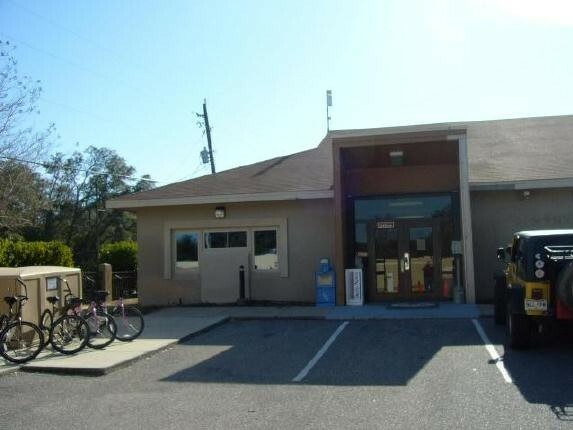 Strong WiFi, good cable TV, exceptionally friendly and helpful staff, and yes - very tight maneuvering with spaces close together, but workable for big rigs if you're careful. 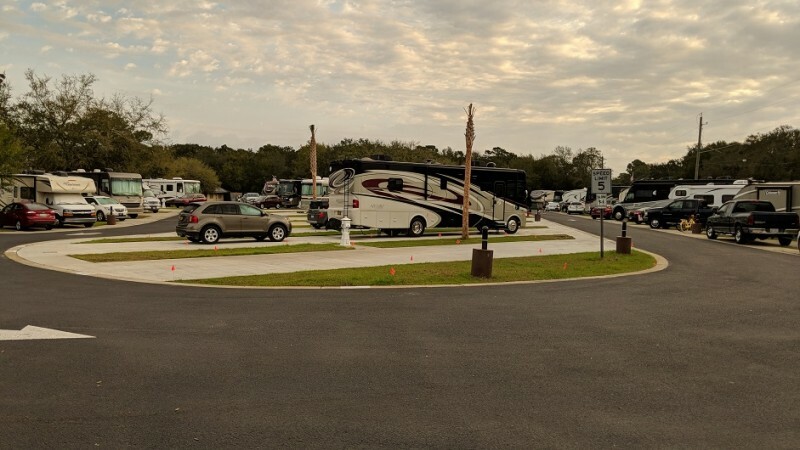 The campground really occupies a beautiful and private bay front location with quick, easy access to the gulf, Eglin/Hurlburt AFB facilities, and shopping/restaurants in Destin or Ft Walton Beach. Even though we were there in what should be the heart of Snowbird season, we were able to get reservations with only a weeks' notice. 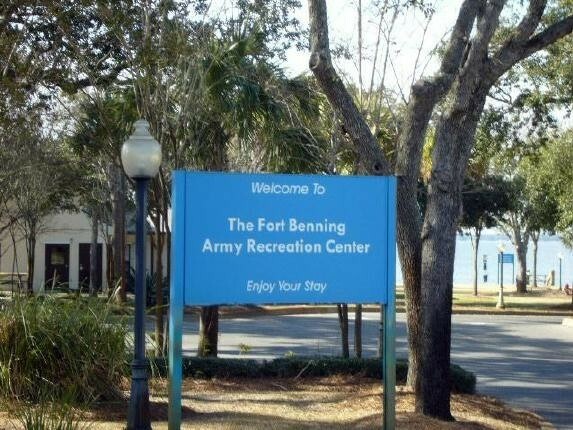 If you're planning a longer stay/vacation on the NW Florida beaches, or just passing through for a few days, I can strongly recommend this Army Famcamp/recreation area....kudos to Ft Benning! 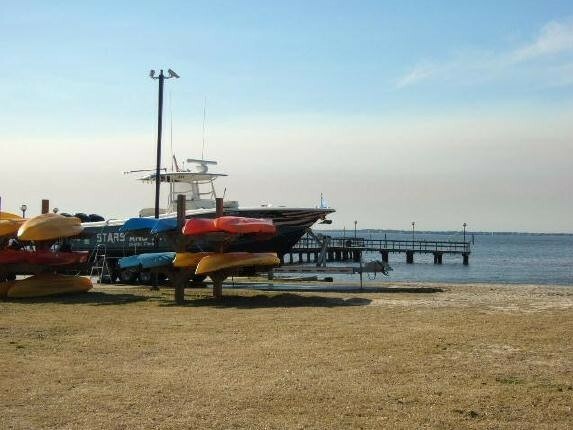 Destin Army Recreation Area. 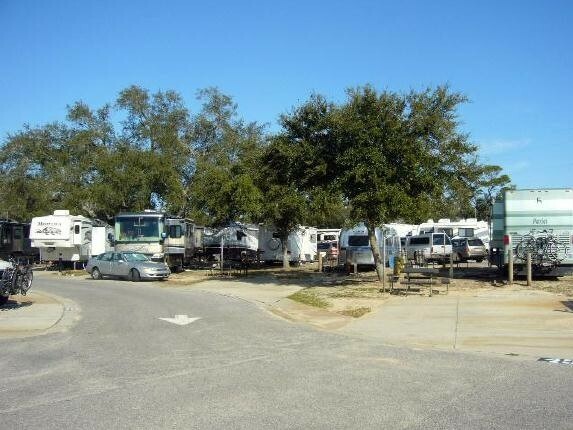 We're here for a week and as other reviewers have stated the RV spaces are "tight" but it's the price you pay for a great location, excellent rates, cement pads and an overall super facility. The WiFi actually works and is strong, cable provides lots of channels. Personnel here are very courteous the RV community during our visit was very "homey" very social. Everything was clean, well maintained, even the sand box for the kids to play in was taken care of - overall an excellent value. Only caution would be if you have a behemoth of a RV there are some spaces you'd never get in and some turns you might not make. I'd say anywhere north of 42 feet would be too much. Love this Famcamp! Another great visit and now the WIFI is throughout the park and is very reliable. 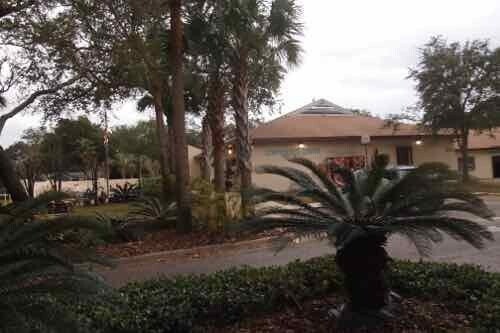 The staff is very friendly and does a great job keeping the park clean and all the amenities in good working order. Can't wait till our next visit. This was our second visit to this Campground and we may just make this a yearly Spring visit. The Staff is very friendly and the park is very clean. On this visit we got the last large site (next to the bath house) and it was a little difficult getting our 39 foot 5th Wheel into it because of the angle of the site. WIFI is only available in the office, but it worked real well there. We rented a pontoon for a few hours at the marina and just cruised the Bay and enjoyed ourselves. This park is worth visiting if you are in the area. Great facility, great Staff, Awesome location and amenities. Our first time there, but we will visit on every trip to Florida in the future. Rates were very reasonable for the services provided. Thanks Destin Family and Ft Benning. Second stay here. Still tight quarters especially as Class A's and 5th Wheels get longer. Surprised that at this time of year, after spring break, there were an average of 13 unoccupied sites every night. So, same-day reservations may be possible at this time of year. You can't find a better deal in Destin. Very nice and clean located in a very nice tourist beach people area. I did not max the score because of the tightness. This place and this area speaks for itself so I will not go into detail… boardwalk, cafés, wining, dining, shopping, white beaches, very clean and so on. BEAUTIFUL!! Everyone was very very friendly!! The grounds are very well kept!! It was rainy and chilly when we were there and want to return when it is warmer so we can take advantage of the pool and beach!! I want to bring my grandkids here. A BIG thank you to the office personnel for making us feel as a valued camper!! Very very clean!! Spaces may be small but there are places with less space for more money!! We have a 34 ft 5 th wheel and had enough space. Small and tight to get into, felt like we were on display for our fellow Rv neighbors to enjoy. It was like a look at me location, staff was not well informed about anything no matter what you asked them. This sight price was not correct, so do not be surprised when you check in at the desk. For the price you will pay for long term stay, there are much better Military Rv parks out there trust me. 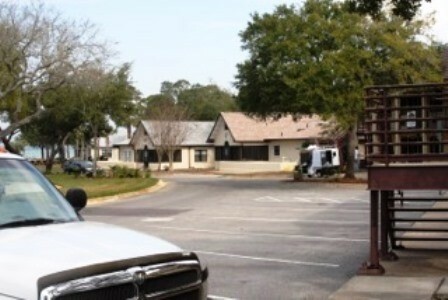 Ft. Benning MWR is just taking advantage of active duty and retired Military Vets the should be assumed of themselves.